ExxonMobil is under investigation by the New York Attorney General for withholding information from both its shareholders and the public about the risks of climate change. In a statement on Thursday, ExxonMobil confirmed that it has received a subpoena requesting documents and information pertaining to climate change. 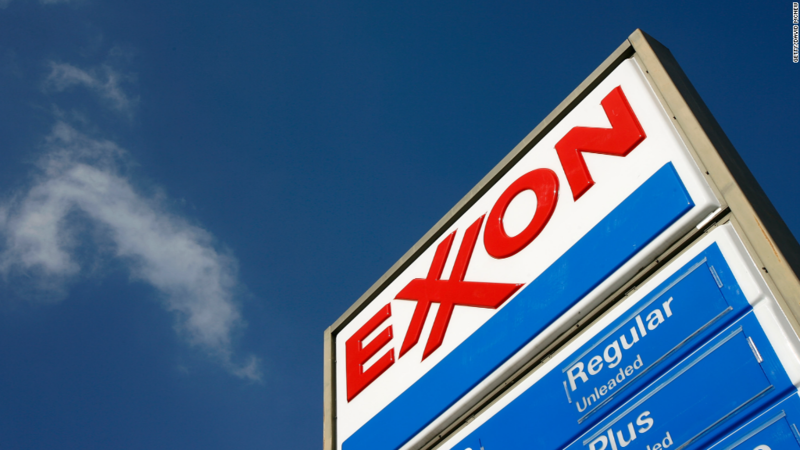 ExxonMobil (XOM) said it "unequivocally" rejected any accusations that it had hidden climate change research. "ExxonMobil has included information about the business risk of climate change for many years in our 10-K, Corporate Citizenship Report and in other reports to shareholders," the statement said. The oil and gas corporation, which recently posted poor earnings, said it has a "nearly 40-year history of climate research." ExxonMobil said the research was gathered through a collaboration with the U.S. Department of Energy, the UN Intergovernmental Panel on Climate Change and academics. However, Exxon Mobil and other energy companies could face huge legal costs if the government is able to show they funded research intended to downplay the risks of climate change, even if its own research backed up mainstream research that documented that risk. That it what happened in the 1990s and 2000s to the tobacco industry. Government and private lawyers won hundreds of billions of dollars from big tobacco companies that had funded research denying the health effect of cigarettes, while its own research showed the product to be addictive and dangerous to smokers. The New York Attorney General has broad power under state laws to investigate potential deception by public companies that fail to disclose risks to their investors. ExxonMobil is not the only company facing inquiries from Schneiderman's office. Coal company Peabody Energy (BTU) has disclosed that the New York AG contacted the company "seeking information and documents" about climate change disclosures. "The company believes it has made full and proper disclosure of these potential risks," it wrote in public filings. The first document request to Peabody dates back to 2007. The company received a follow up request in 2013, after Schneiderman took office. "The company remains in regular communication with the NYAG and is continuing the process of complying with that request" it said in a recent filing. But Peabody Energy is facing financial trouble due to slumping demand for coal and new environmental regulations on that industry. ExxonMobil, despite the slump in oil prices, is still one of the largest and most profitable companies in the world, earning $13.4 billion in the first nine months of this year, a market value of $353 billion and $4.3 billion in cash on its balance sheet at the end of the most recent quarter. Rival Chevron (CVX) has $12 billion in cash on its balance sheet while ConocoPhillips (COP) has $3.8 billion.